One epitome congregation, celebrated every twelve years, six important bathing days, 32 Sq. Km area, forty plus bathing ghats, forty-nine special trains and two thousand plus buses are buzzing with activity from devotees ferrying themselves to the makeshift township of Kumbh Nagri. We are witnessing the penultimate sacred gathering, Kumbh Mela 2019, being the costliest ever with the Central Government and the UP Government investing Rs. 4,236 crores. The day of Maghi Purnima, nearly 150 million (1/10th of India's population) offer prayers and take dip at sacred river Ganga, marking the end of month-long penance of the Kalpwasi pilgrims, ascetics, saints, sadhus, sadhvis, kalpvasis and pilgrims from all walks of life. The century old significance and knowledge behind 5th Dham, is an infusion of Sanatana Dharma and holy pilgrimage to Siem Reap and Angkor Wat in Cambodia. The awakening to 5th Dham, began with one man, sparked with the idea of uniting sanathanies across the globe towards spiritual enlightening. Since 1993, Dr. Sailesh Lachu Hiranandani, on a Sanathana dharma soul searching journey of a lifetime, joined hands with Ms. Mary Mam in 2010 to connect the proposed 5th Dham in Cambodia. 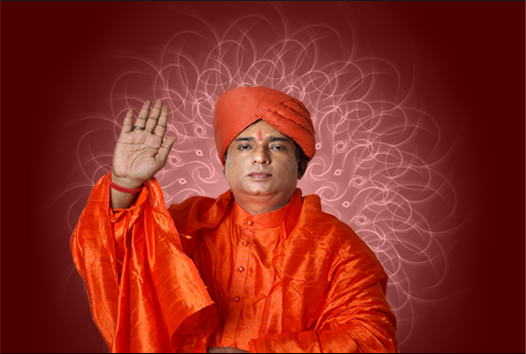 With the abundance of blessings and guidance from Guruji Kumaran Swami during 2012-2013, 5th Dham attained the global platform converging global Sanatanies in South-East Asia. Gurujee Kumaran Swamiji along Mr. Indresh Kumar of the RSS have now taken the baton and an oath to spread the spirit of the sanathana dharma and 5th Dham among the Indian and Asian Diaspora across the globe, a mission conceived and envisaged by Dr. Hiranandani since 1993. Dr. Hiranandani and Mr. Indresh Kumar have mutual admirations for each other. 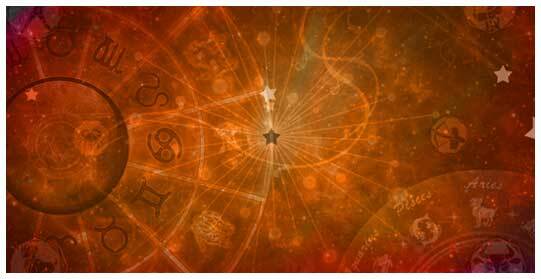 Being knowledgeable is just one of the aspect that is common to both. They both are staunch patriots with lot of love for the country. Their combined knowledge base and experience spans over 100 man years and they are rooted to the cause of sanathana dharma and the 5th dham. On this occasion senior RSS leaders like Mr.Indresh Kumar and Mr. Shailesh Vats have ensured that the sanathanas have reposed their faith in the traditional bathing at the Kumbh Mela by participating on the sacred occasions on 14th and 15th of February 2019. 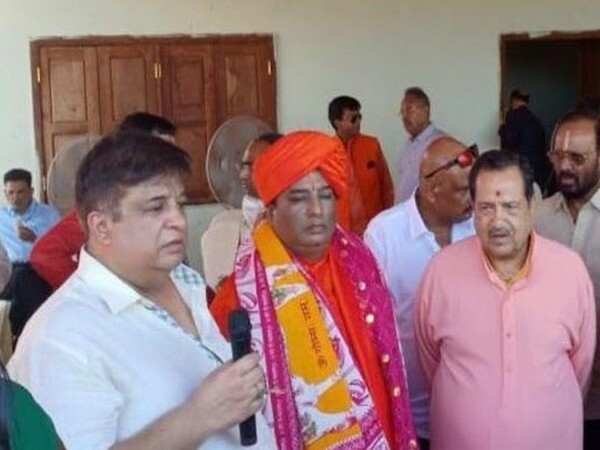 The RSS has flagged of the sanathana ratha when Mr. Indresh Kumar performed the stone breaking ceremony in Siem Reap for the 5th Dham along with His Holiness Gurujee Kumaran Swamiji. The trustees of 1008 Names of Shiva Association a trust operating from Cambodia and whose trustees include some prominent members from the country including but not limited to Mr. Mahendra Joshi - Industrialist, Mr. Indresh Kumar, National Convener-RSS, Mr. Shyam Parande, Sr. Leader-RSS, Dato. Ram Nair, Industrialist, Mr. Sailesh Vats, Sr. Leader-RSS, Mr. Ajitabh Bachchan, Industrialist, Mr. Pardeep Batra, Hotelier, Mr. Kitty Navani, Industrialist, Ms. Mary Mam, Director-SRAM & MRAM, Mr. Rahul Shah, Director-Master Tour, Mr. Nitin Gupta, Technocrat, have opened a prominently located stall in Kumbh Mela, helping pilgrims to walk-in, meet and understand the very concept of Sanathana Dharma ordained under the 5th Dham. The association is actively promoting 5th Dham, its goodwill and peace through a wide array of humanitarian missions and charity projects in Cambodia. People from varying walks of life have contributed their might for the formation of the 5th Dham sanatanas in Cambodia. Mr. Rahul Shah, Director, Master Tour Operators and one of the founding members of 1008 names of shivas association has been driving the tourism sector in Cambodia between India and Cambodia with complete support from technocrat Mr. Nitin Gupta, founding director of Cosmo Solutions and various other dignitaries and fellow trust members. Mr. Mahendra Joshi, another of the trustees has been at the forefront of activities from the onset has pledged money, mind and manpower to the success of the sanathana dharma and the 5th dham. Unified by humanitarian goodwill principles, RSS, 1008 Names of Shiva Association and SRAM MRAM Group are joining hands in contributing to the wide array of charity missions and projects viz., Anna Dhan or free food for all, old age home care for the elderly, orphanage care and widow re-marriage etc. The 1008 Names of Shiva Association is conducting contests to choose lucky pilgrims for an all-expense paid trip 5th Dham, Cambodia. The winners will visit Cambodia, pay offerings at the historical landmarks of Cambodia, the Angkor Wat (The world's largest Hindu Temple) and Siem Reap (The Valley of a 1000 Shiv Ling's). This story is provided by NewsVoir. Manama : KHK Sports in association with Exelon conducted the official ticket launch of the Bahrain Premier league. Bahrain Premier League is a franchise based T20 Cricket tournament held under the patronage of His Highness Shaikh Khalid bin Hamad Al Khalifa. The league will comprise of six teams of 13 resident cricketers competing in the T20 format of cricket. Teams were bought by six corporates SRam & MRam Lions, Intex Falcons, Awan Warriors, Four Square Challengers, Bahrain Knight Riders and Bahrain Supergiants. The matches will commence on January 26th and will continue until March 9th. Mohammed Shahid, CEO of KHK Sports released the first ticket to Guruji Kuraman Swami who represented the platinum sponsor, Intex. Mohammed Shahid later handed over the key of Chevrolet Aveo which is the grand price powered by sponsor SRAM & MRAM to Saleem Ilyasi, President of Cricket Bahrain Association. Mohammad Mansoor President of Bahrain Premier League thanked His Highness Shaikh Khalid bin Hamad Al Khalifa for patronising the first and only International premier league from the Kingdom of Bahrain and for the initiative to make Bahrain an International Cricket destination. 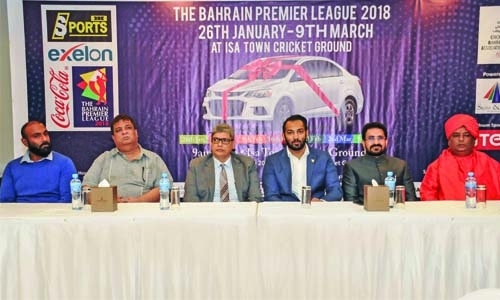 Bahrain Premier league will be associated with Cricket Bahrain Association which is affiliated by International Cricket Council & Asian Cricket Council. Mansoor also thanked Mohammad Akeel, Managing Director of the title sponsor of Bahrain Premier League - Coca Cola. Punith, Marketing Manager of Coca Cola extended the support in making this as a biggest cricket event in Bahrain.